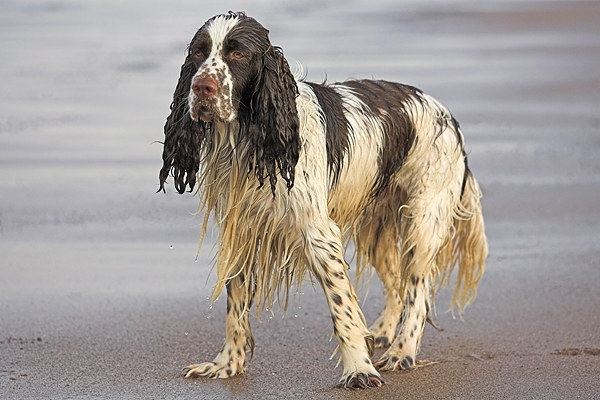 Home | Springers | Ollie,wet and bedraggled. Taken on Cheswick beach in Northumberland. Canon 1D Mk11N camera,180mm lens,1/800 f5.